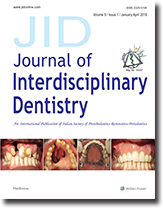 Aim: To evaluate the staining produced on dental enamel after bracket debonding on exposure to 2 different types of coffee and tea produced in South India. Materials and Methods: Fifty premolars extracted for orthodontic purposes were randomly assigned to five groups .Orthodontic brackets were placed and debonded on the test side. Tooth surfaces were exposed to 2 different types of coffee and tea and color changes were recorded with a spectrophotometer. Results: All solutions of coffee and tea produced statistically significant color changes in both the test and control group with more pronounced color changes in the test group. 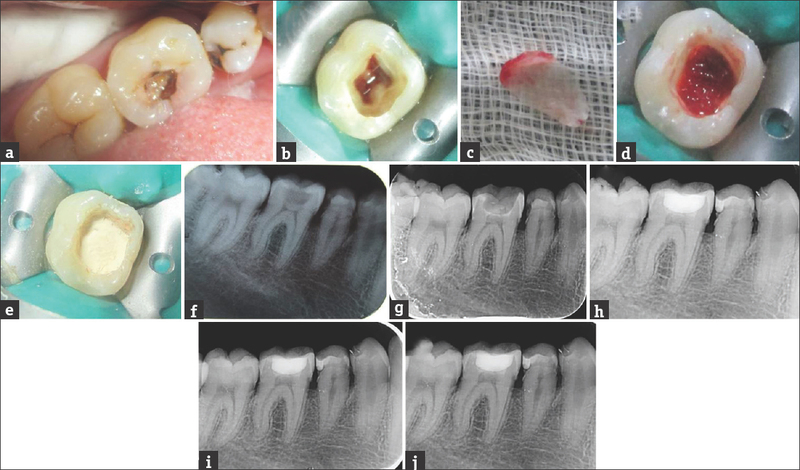 Conclusion: Scaling and polishing should be advised for all patients after bracket debonding to reduce the impact of staining on tooth surfaces. Aim: This study aimed to compare and evaluate the knowledge, attitude, and practice of oral health and adverse pregnancy outcomes among rural and urban pregnant women of Moradabad, Uttar Pradesh, India. Methods: A cross-sectional study was conducted at health-care centers, private and government hospitals, and institutions in Moradabad city (Uttar Pradesh, India). A structured questionnaire with a set of 18 questions for a sample of 515 was designed to evaluate the knowledge, attitude, and practice of pregnant women regarding oral hygiene and its adverse pregnancy outcomes [Appendix 1]. Data obtained from this questionnaire were analyzed using the SPSS statistical package. Statistical significance was measured using Chi-square test for qualitative variables at P < 0.05. Results: A majority of respondents (82.9%) of urban area were aware of dental plaque and gum diseases and of rural area only 17.1% were aware of the same (P < 0.005). Awareness of the connection between pregnancy and oral health was also seen highest among the urban participants (94.1%) whereas only 5.9% of rural participants were aware of the same. Alarming finding in this study was that none of the rural participants were aware that the mother's poor oral health can affect the unborn baby causing low birth weight of the baby. Adequate oral health practice was found in majority of the urban participants. Levels of education of the participants were found to be strongly associated with oral health practice. Conclusion: This study revealed that the knowledge of pregnant women of rural group about association of oral health and adverse pregnancy outcome was poor. The level of education and socioeconomic status was significantly associated with oral health attitude and practice. Dental health education in pregnancy can lead to improved oral health and hence improved pregnancy outcomes. Aim: The purpose of this study was to determine the accuracy of two types (friction style and spring style) of mechanical torque wrenches after clinical use. 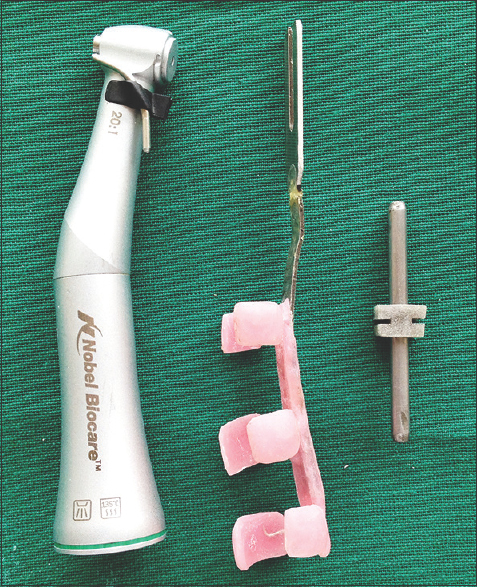 Materials and Methods: Four mechanical torque wrenches in clinical use were collected. Two were friction style and two were spring style. All the wrenches had been in use for at least 6 months without being recalibrated and were tested to check their accuracy in delivering target torque values. The data obtained were statistically analyzed using Student's t-test. Results: After clinical use, there was no statistically significant difference in the accuracy between the two groups (P < 0.05). Conclusions: Within the limitations of this study, it was concluded that after clinical use, the accuracy of both the type of wrenches was within clinically acceptable limits. All torque wrenches delivered torque values within 10% of the target torque value. Background: Royal jelly (RJ) is a milky white highly viscous secretion from the salivary gland of the worker hive bees. RJ is a nutritive secretion that acts as biocatalyst in cell regeneration processes within the human body and exhibits antimicrobial effects. Materials and Methods: RJ antimicrobial activity against periodontopathic (American type cell culture) bacteria was investigated “in vitro.” Bacterial strains tested were Aggregatibacter actinomycetemcomitans (Aa), Porphyromonas gingivalis (Pg), Prevotella intermedia (Pi), and Fusobacterium nucleatum (Fn). 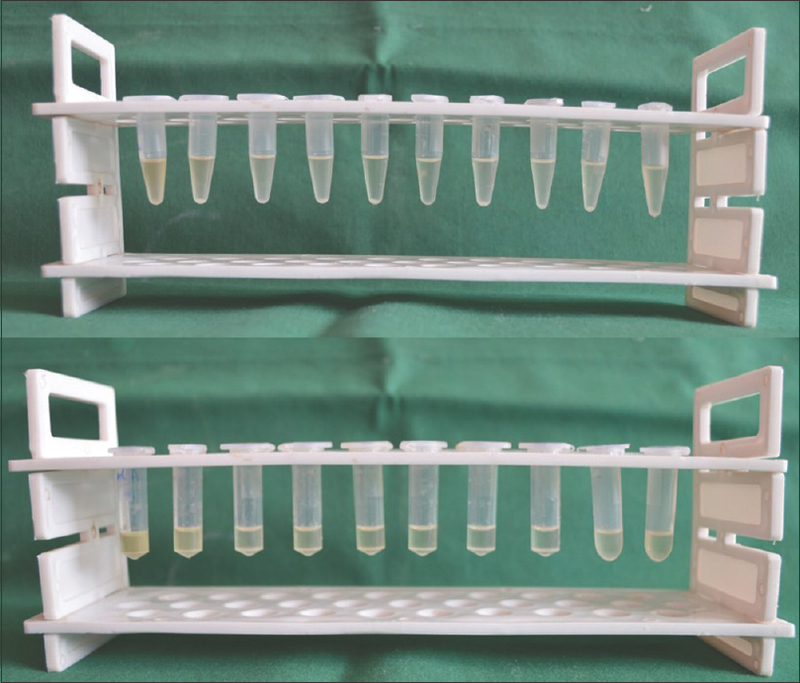 Minimum inhibitory concentration for the strains tested was determined using the method of broth dilution with the RJ sample in serial concentrations. Results: The minimum bactericidal concentration values were identical and showed bactericidal effect in the range between 12.5 and 100 μg/ml, suggesting that periodontal pathogens tested were susceptible to RJ. Conclusion: Results showed that the inhibitory effects on Pg and Pi at different concentrations demonstrated concurrent similarity, whereas higher concentrations were necessary to inhibit the growth of Aa and Fn. However, the requirement for a standardized method for quality evaluation of RJ, i.e., qualitative, quantitative, and biological activity is a necessity, and its dosage and safety must be tested before its possible in vivo application. Parallel placement of dental implants is an accepted surgical and prosthodontic norm when multiple implants are used. Use of paralleling pins supplied with the implant kit is an arbitrary method. An instrument is designed that helps in maintaining the parallelism between implants intraorally. The instrument consists of a horizontal plate with millimeter graduation. A slot is created in the horizontal plate to house a vertical rod. The vertical rod can move mesiodistally as well as occlusogingivally. It must be ensured that the vertical rod is exactly parallel to the long axis of the drill in all the directions. The horizontal plate is then securely attached to the handpiece. After the first osteotomy is made, the vertical rod is placed in the site. The position of vertical rod will guide the second drill parallel to the osteotomy site. This instrument will guide us to correctly determine the inter implant distance, and also depth of the preparation. 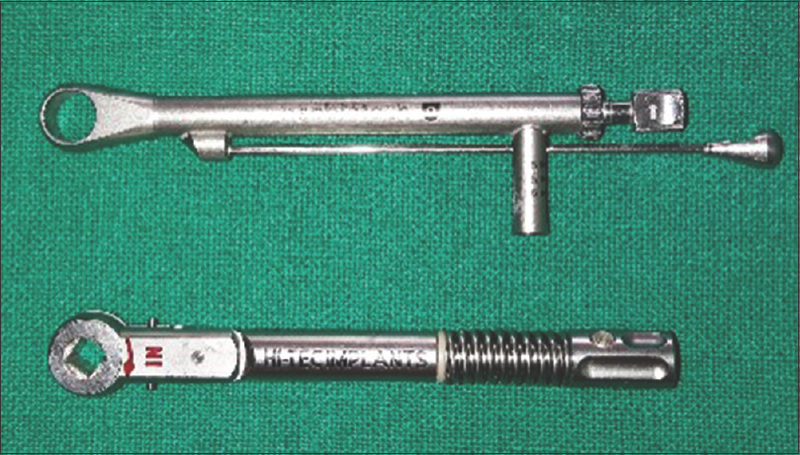 The instrument is autoclavable. The presence of hairs in the oral cavity is an uncommon phenomenon, despite the frequent use of flaps for reconstruction. An intraoral hairy flap may result in constant discomfort affecting the quality of life of these patients. There are two lines of treatment available – One, by using laser to epilate hair, or second, an inexpensive mean of using scalpel to trim of the hair, which would result only in a temporary relief to the patient. Thus, it is apt to say that it is always preferable to prevent it in the first place than to cure it afterwards. Hereby, we like to highlight two such cases with intraoral hair growth and an alternative technique to negate it which needs to be incorporated in daily practice. The aim of vital pulp therapy is to maintain the health of pulp tissue by eliminating bacteria from the dentin pulp complex. Two patients diagnosed with symptomatic irreversible pulpitis in permanent mandibular molars with closed apices were managed using conservative treatment modalities such as vital pulpotomies with regenerative approaches. After caries excavation and pulpotomy, platelet-rich fibrin was used as a pulpotomy medicament followed by Biodentine placement. Final restorations were done with composite resins. At 6, 12, and 24 months recall, both the teeth responded positively to pulp sensibility tests, and radiographic examination revealed a normal periodontal ligament space. Positive results of this case imply the need for more studies with larger sample sizes. Further, a longer recall period is also required to justify the use of this approach for the treatment of pulpitis in human permanent molar teeth. Successful oral rehabilitation of adult patients with cleft lip and palate requires definitive fixed or removable prosthesis to assist orthodontic and orthognathic treatments. Prosthetic rehabilitation aims to improve the functional and esthetic demands and provides better oral health. 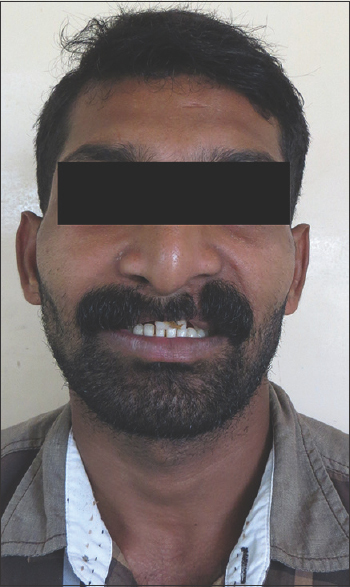 The aim of this case report is to introduce a prosthetic approach for functional and esthetic rehabilitation of an adult male patient with surgically repaired cleft lip and unrepaired palate, by a combination of fixed dental prosthesis with an extracoronal attachment retained gingival veneer and a cast partial hollow-bulb obturator.